If you like vintage and or retro things, Muzen Audio will bring you back in time with its retro-inspired portable FM radio & Bluetooth speaker series, On The Road (OTR). It has launched its bestselling On The Road (OTR) series of portable speakers with radio functions in Singapore through a partnership with local distributor iFactory Asia. The Muzen OTR series is meticulously handcrafted with visual aesthetics in mind, and is built to be your travel companion. These portable speakers provide crystal-clear audio that will bring joy to your road trips or journeys, where you relive the heyday of jazz improvisation, rock ‘n’ roll and nostalgic sounds that once comforted countless souls. Muzen is founded by Mr. Zeng Dejun, a five-time CES Innovation Award winner and this is his labour of love. He has dedicated his life to radio. In order to create his ideal radio set, he brought his Hi-Fi business to a halt, toiled through years of trial and error, and finally launched the Muzen Original II Radio. This was achieved through a successful crowdfunding campaign in 2015, which led to his creations growing its band of believers. 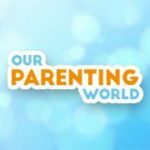 Our Parenting World – OPW Media team is pleased to be able to interview Mr. Ben Dai, Chief Marketing Officer & Co-Founder, Muzen Audio to find out more. About Mr Ben Dai, he has pursued his passion for broadcast as Music Business Director of EE-Media Co. Ltd., a mando-pop production label that has worked with artistes such as Hua Chenyu (华晨宇) and Zheng Shuang (郑爽). He was also General Manager at Huaxia Film Distribution Co. Ltd which handled production in Chinese movies. He has been working as CMO of Muzen for the past four years, and his work at Muzen also included organising broadcast events such as Radio Renaissance, a 24-hour event held in 2017 and 2018, which brought radio personalities from all over the world together to celebrate radio and music, with an international audience 3 million strong tuning in. Ben is knowledgeable about Chinese and international media and wishes to revive radio culture not only in Singapore, but also the world at large. 1. Please share with us more about your background and what sparked your interest in broadcasting? In university, I majored in music, which led to me joining a music company in 2005, where I was responsible for record production and project operations. I only joined Muzen in 2015. 2. What inspired you to develop Muzen Audio, what are some of the challenges that you faced and how did you overcome them? Founded in 2010, the company went through four years of research and development before being launched in 2015 via the largest crowdfunding platform in China, JD.com, and became an immediate hit. I first met Mr Zeng in late 2014 through the CTO of Muzen, who I had known since 2007. I was touched by his sincerity and was impressed by the excellent sound quality of the speakers. This led me to join the company in 2015 as the Chief Marketing Officer, where my role was to help Muzen develop its brand. When I joined, I believed that a speaker is not just a tool to serve professionals, but also a product that adds to a young person’s life and love of music. In fact, it’s not a surprise that many luxury brands also follow the same identity-driven philosophy. For four years, we focused on accepting and understanding the experiences that younger people liked, be it movies, music, shopping and communication. Our rapport with our customers really helped us in creating personalised products for them. 3. Can you share with us more about your partnership with iFactory Asia and how did it come about? With Singapore acting as a regional hub for Southeast Asia, it was natural that we would launch in Singapore first, where it would act as a gateway into the Southeast Asian market. We chose to partner with iFactory Asia due to their robust distributorship network in Singapore, their strong track record with major audio brands and their experience specialising in premium audio products. We felt that they were the best fit in assisting us for a launch in Singapore. Prior to our partnership, we were in discussion with iFactory for about a year. John, the founder of iFactory, won us over with his patience. Sales have been very good since we entered, giving us confidence that we made the right choice in choosing Singapore to kick-start our launch. 4. Where does the name of your brand, Muzen come from? Our identity is closely tied to music. Muzen is a combination of two features that best represent the brand, music (Mu) and our founder Mr Dejun Zeng (Zen). It also represents meditation, tranquillity, peace and the feeling of “zen”. Combined as Mu+Zen (Muzen), we hope the products designed by Mr Zeng can bring users an enhanced music experience, as well as enter a state of comfort, tranquillity and joy. 5. Can you tell us more about Muzen Audio and its unique features? Muzen Audio’s most outstanding quality is that we have both FM radio and Bluetooth connectivity. You can play audio from your phone, laptop and various other devices or tune into a radio station, simply by turning a dial, to seamlessly switch from Bluetooth to Radio. Our products sport a vintage look and old-school knobs, but feature good sound quality, and modern functionalities. In the future, Muzen will also launch a music content service on the internet to go with the speakers. 6. Lastly, do you have anything else that you would like to share with our readers about Muzen Audio? Looking ahead, what can we expect from Muzen Audio? Muzen Audio hopes to see more people appreciate radio by making radio more accessible to everyone, embodied by our tagline, ‘Keep Radio On’. Moving forward, our goal is to change the global view of Asian and Chinese design through our original design and language that transcends borders. In fact, we plan to launch more products in Singapore and the SEA region; we hope that our customers will continue to show great interest in our products. Before Singapore, Muzen has launched in USA, Hong Kong and various European countries. Next, we hope to enter other areas such as Japan and South Korea, and the rest of Southeast Asia, as well as other important national markets around the world. Additionally, [Radio Renaissance] is Muzen’s biggest branding event. We hope to bring this event to Singapore in the future as well. Thank you Mr. Ben Dai for taking our interview! When we first saw the Muzen Crimson Red Metal, we immediately fell in love with it. This retro-looking radio is so beautifully made with hot, bright red colour. We were surprised how small it is, that makes it easy to carry around. The radio comes with a matching red faux-leather protection case and red faux leather carrying strap that are so elegant and stylish. This is a great conversation piece when you bring it along with you wherever you go, be it at home, in the office and for outings. Radio functions include Bluetooth, in-built FM radio, and auxiliary input to receive audio signals if you would like to connect by cable. It has a pretty good battery life of 10 hours. There is a detachable antenna should you wish to improve your reception depending on your location. As for the sound quality, we do not have any problem tuning into the live radio stations like 938NOW, YES 933, etc the sounds are clear and with very little noise disruption. The Muzen OTR comes with Metal and Wood coatings. The OTR Metal weighs 440g and the OTR Wood weighs 195g. It has different colours options for you to choose from like Jet Black, Crimson Red, Flamingo Pink, and Mint Green, each set includes unique accessories including a leather carrying strap and a sticker set. We love Muzen! It is a perfect lifestyle companion on the go! The Muzen OTR Wood is priced at $129 and the Muzen OTR Metal is priced at $139 available at Robinsons, Tangs, Popular Bookstores, Challenger and other leading authorised dealers. For updates, please follow Muzen Audio at @muzensg on Instagram and Muzen Audio Singapore on Facebook.